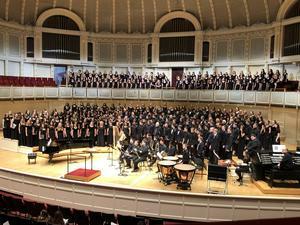 The ESHS Choir had the distinct honor of opening the concert with a solo performance; and in the second act, they sang alongside 300 other singers from around the nation. 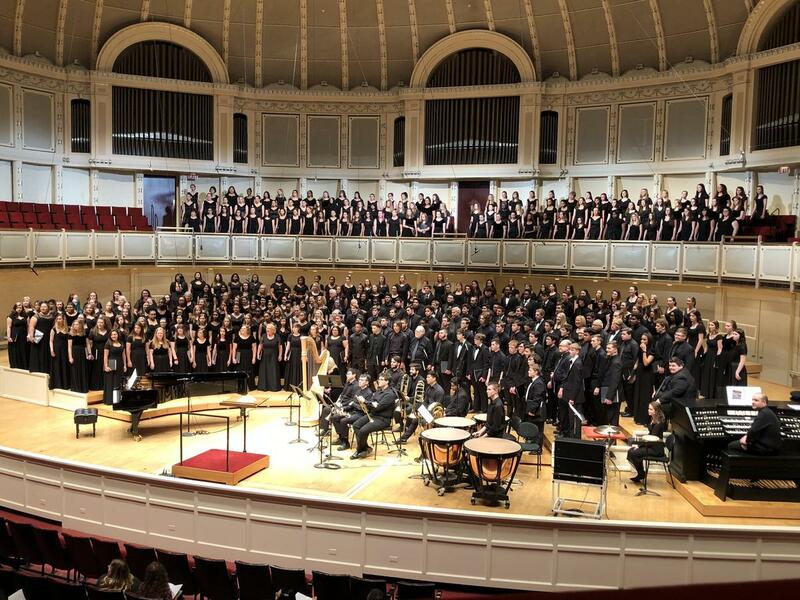 The annual Windy City Choral Festival features mixed choirs from across North America coming together to sing at Chicago’s Orchestra Hall at Symphony Center – home of the Chicago Symphony Orchestra. 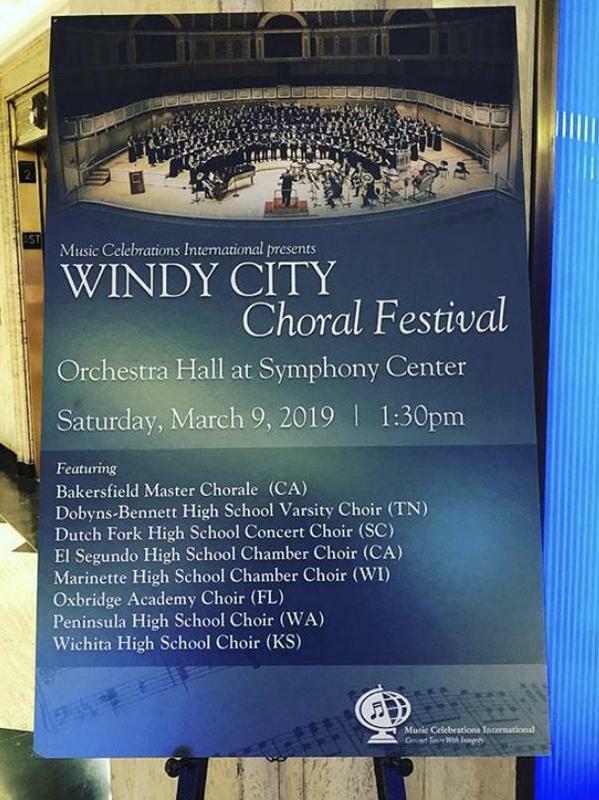 World-renowned choral conductor, composer, and Director of Choral Activities at Oklahoma State University, Dr. Z. Randall Stroope, serves as artistic director for the festival and leads the rehearsals and finale performance. All concert and tour production for the festival are provided by Music Celebrations International. ESHS was invited to participate in this year’s festival based on its exemplary status as a top high school choral program. Upon approval from the ESUSD Board of Education, the ESHS Choir submitted an application to be featured as a solo group, along with video submission and audio recordings. 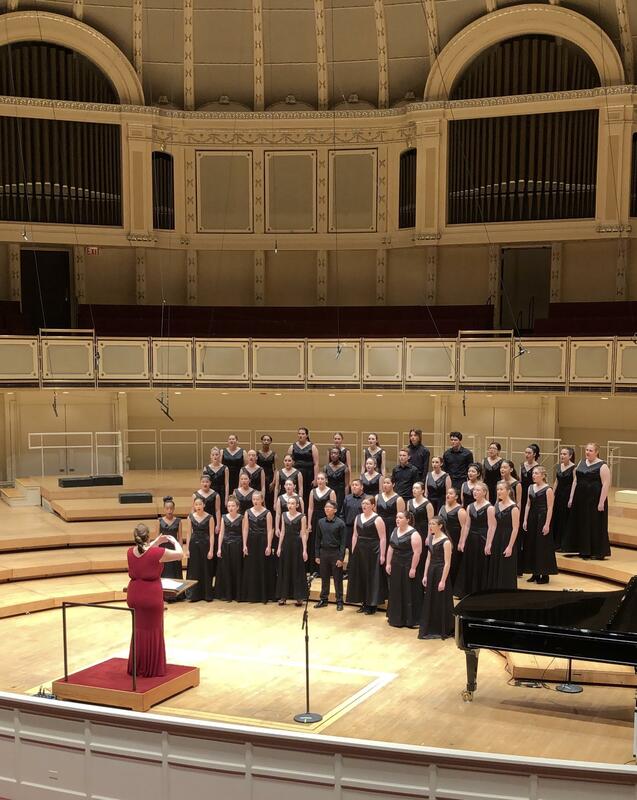 The ESHS Choir joined eleven other choirs in the 2019 Windy City Festival Chorus and was chosen as one of only three choirs to be selected to conduct a stand-alone performance during the festival’s finale concert. ESHS Choir Director Gianna Summers directed ESHS Choir’s solo performance. 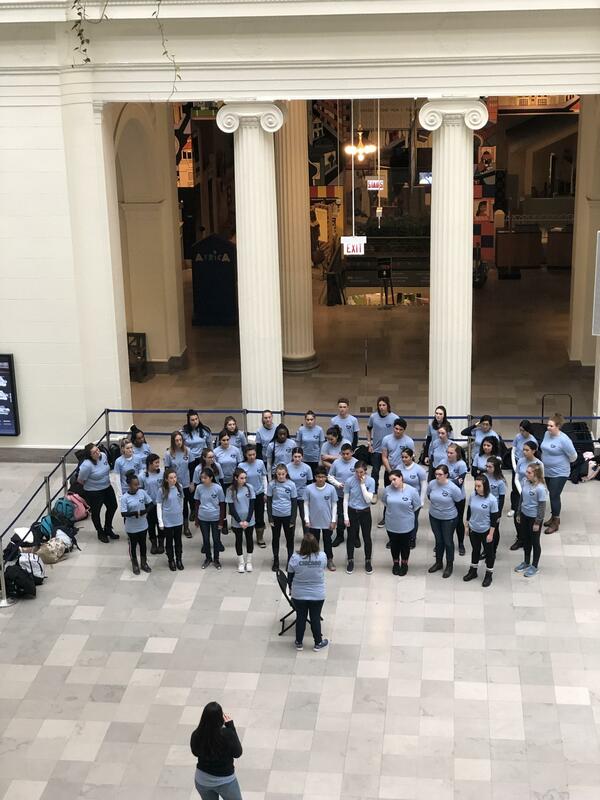 In addition to performing at the Symphony Center, the students toured and enjoyed some of Chicago’s many attractions and eateries. They ice skated in Millennial Park, saw an aquatic show at the Shedd Aquarium and Oceanarium, sang in the Field Natural History Museum, experienced the TILT at the John Hancock building, enjoyed Chicago style pizza, and had a dance party at Navy Pier. 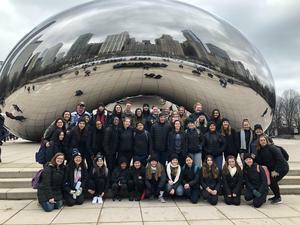 “This Chicago tour was a beautiful end to my four years in the ESHS Choir and the memories will remain with me for life,” said Byron.